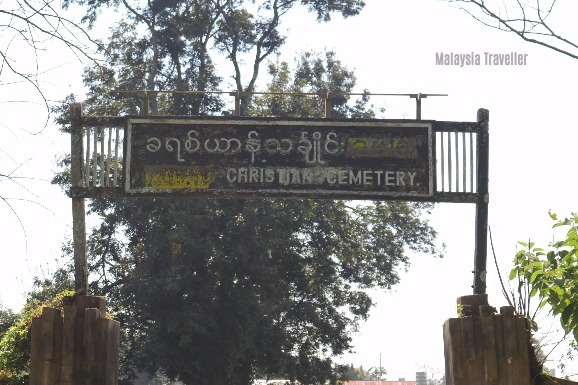 Maymyo Christian Cemetery is the name inscribed above the entrance gate to a small and somewhat unkempt graveyard opposite the Sacred Heart Catholic Church in the Burmese town of Pyin Oo Lwin. The word ‘Maymyo’ was painted over in yellow when the town changed its name to Pyi Oo Lwin but it is still visible. 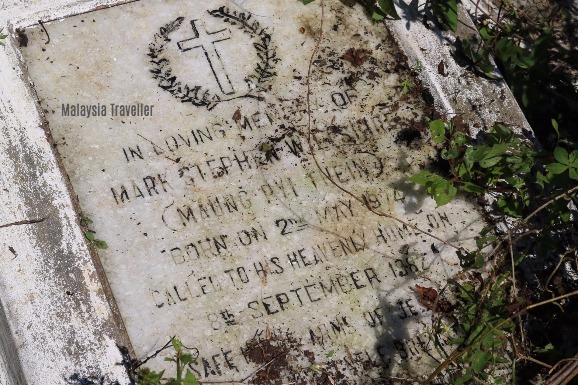 This cemetery, also known as the Maymyo English Cemetery or European Cemetery, is where the British buried their dead from the establishment of Maymyo as a hill station in the late 1890s up until Burma’s Independence in 1948. 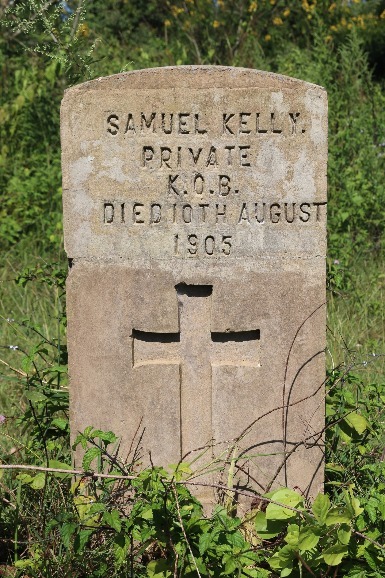 Some British stayed on after independence and they too are buried here. The Maymyo Cemetery Register of European Burials records 303 graves, the earliest in 1895 and the last in 1973. 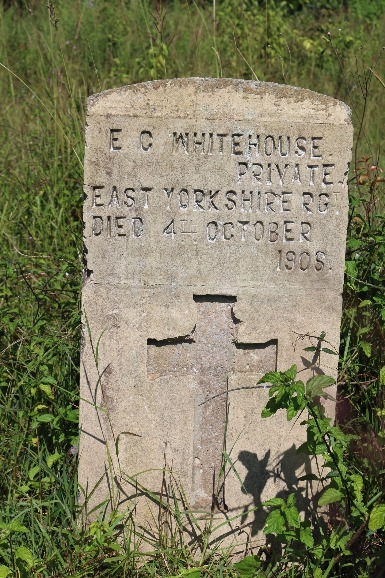 In addition there are an unknown number of Anglo-Burmese buried here, the mixed race descendants of British men and Burmese wives (occasionally the other way round). 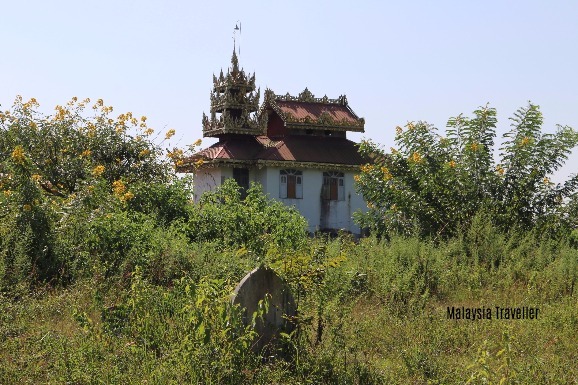 There are also the graves of Burmese Christians who have no European connection. 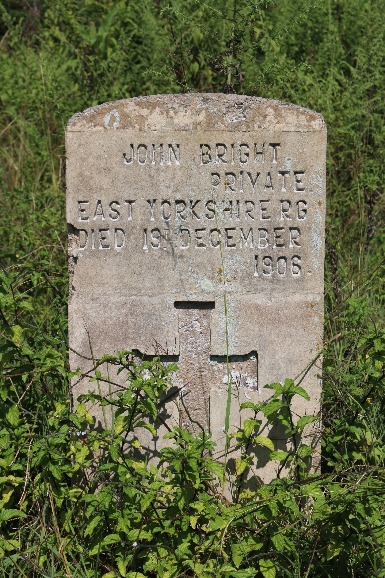 Following the practice of those racially-segregated colonial days, the British graves are separated from the others by a low wall. This wall is now crumbling and the whole cemetery was badly overgrown and in need of some maintenance when I visited recently (October 2017). 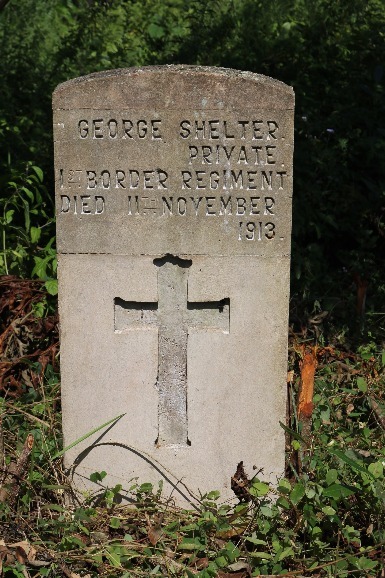 About 200 of the British graves are of military personnel, Maymyo having been a major training camp (it still is). They are thought to have died of illness, disease or accidents rather than being killed in action. Fear of snakes prevented me from exploring the cemetery fully but I cleared away some of the undergrowth to take these photos of headstones. 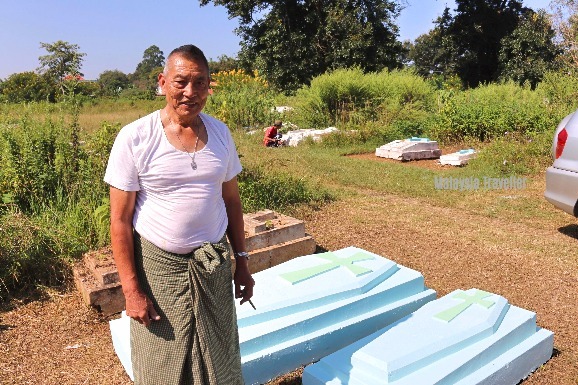 I came across a friendly Burmese gentleman who was applying a fresh coat of blue paint to some family graves. He told me that his name was McDougall and that he had a Scottish grandfather, making him 25% Scottish. He showed me the graves of his wife Ethel (Ni Ni Moe) who died in 1984, his baby daughter Theresa McDougall who only survived for one day in 1981, and his father-in-law E.E. Anderson who was a former railway guard and died in 1968. Presumably Anderson too was mixed race as Indian Railways used to be dominated by Anglo-Indians and the same practice was probably extended to Burma. Could Orwell have based his character on a real person of the same name? And might he have been the grandfather of this man? 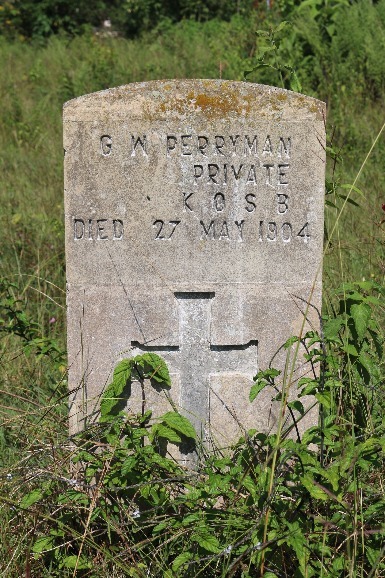 If so, the loutish gene must have disappeared as this kindly man is still looking after his family graves several decades after their deaths. 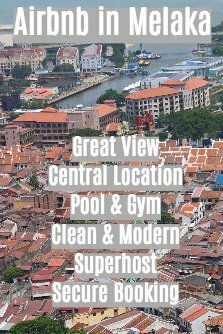 I noticed that many of the mixed race individuals had both English and Burmese names. A Burmese name was probably required to make life easier in post-Independence Burma. 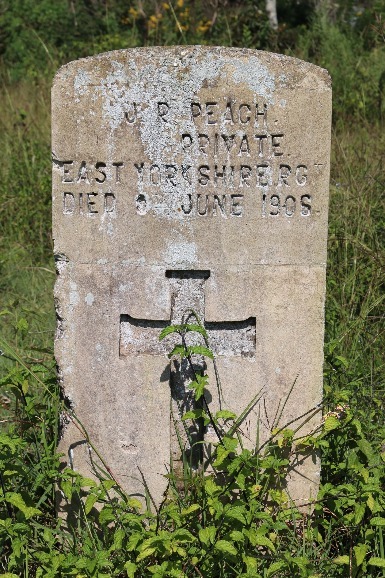 Eric Gordon MacColl was born on 17th April 1892 and lived for most of his life in Maymyo. 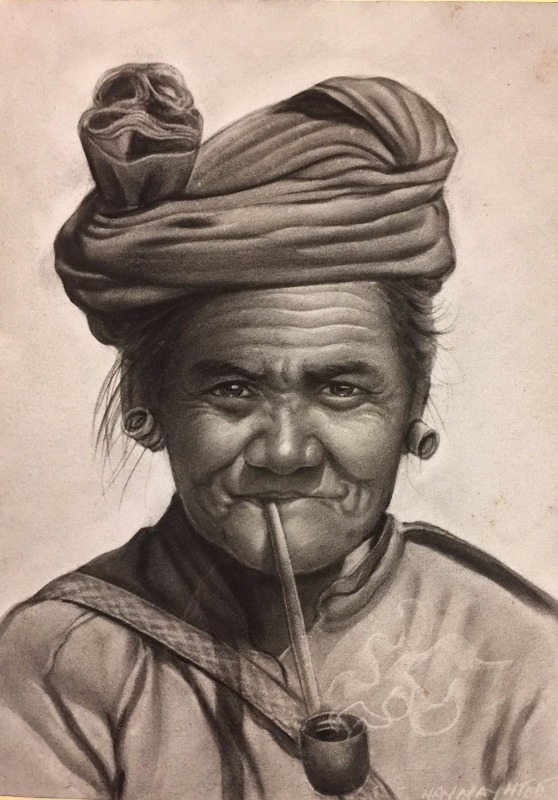 He was an artist well known throughout Burma particularly for his engravings of scenes of Burma and portraits of men and women of the various peoples in their traditional costumes. He also decorated scarves, lamp shades, wall plaques and other brica-brac. His living conditions left a lot to be desired, his artistic nature being oblivious to creature comforts. During the 1939-45 war he was interned by the Japanese. According to a report, while under arrest on suspicion of spying, he kicked a Japanese officer who shot at him twice with his revolver, but fortunately the gun mis-fired. 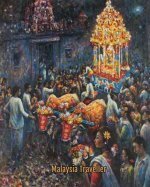 He died on 11 August 1973, in poor circumstances, in a dilapidated hut littered with his artistic works. His friends saw to it that he was given a dignified funeral. 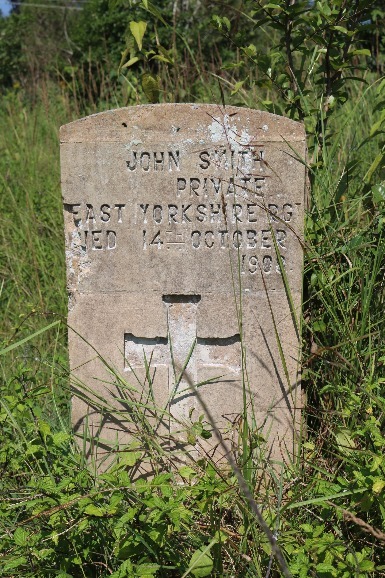 Headstone unidentified. You can read more about MacColl and see his artworks on this interesting blog. This charcoal drawing is not one of MacColl's. I bought this is in Yangon in 2010. Some people of Anglo-Burmese heritage fared much better. 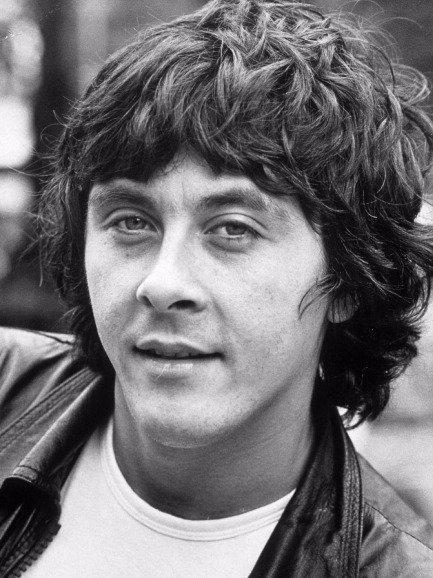 Did you know that Richard Beckinsale, the actor who played Lennie Godber in Porridge was of Anglo-Burmese stock?